Earn your first Bitcoin with us! Our identity, banners, logos, etc. We are social! Explore our profiles in social nets! XRP sprang back to life in September despite a relatively bearish broader market. Over the course of the 30-day period, the price of the world's largest cryptocurrency, bitcoin (BTC), dipped a modest 5 percent. Most cryptocurrencies succumbed to the same fate, but some were able to pick up a bid. However, none saw bigger gains than XRP, whose performance in September wasn't just bullish, it was record-setting. On September 21 alone, the price of XRP shot up more than 75 percent and ended the day with its most trading volume ever recorded on the popular cryptocurrency exchange, Bitfinex. Further, the explosive move allowed XRP to overtake ETH as the world's second largest cryptocurrency by market capitalization, a feat it last accomplished in December of 2017. It should be noted that the surge in price perhaps had some speculative backing. The price run-up in XRP was likely catalyzed by anticipation of Ripple's upcoming Swell conference scheduled to set off on Oct. 1. The conference is designed to highlight Ripple's product line and revved up investor interest last year ahead of its inaugural launch. 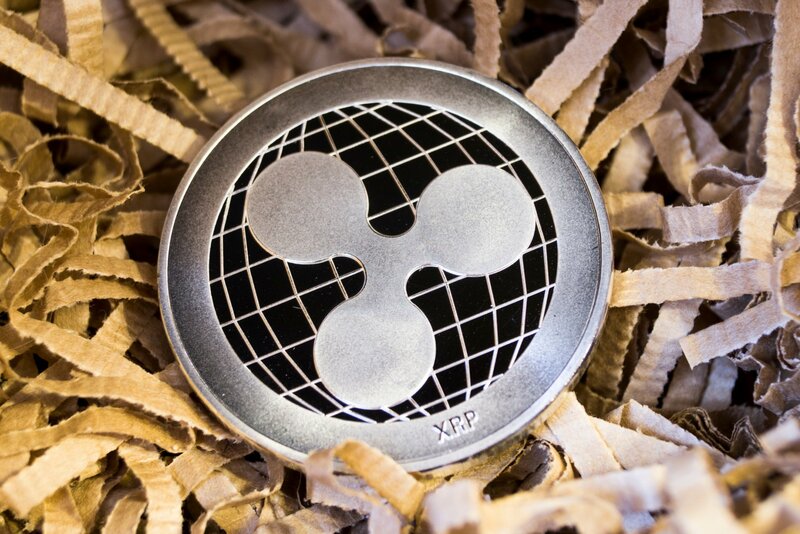 Still, XRP concluded September boasting a near 80 percent month-over-month price increase to cement it as the best monthly performer out of the world's 25 largest cryptocurrencies by market capitalization. XRP was most productive from Sept 18–22 when its price surged more than 150 percent from $0.27 to a three-month high of $0.69, according to CoinMarketCap. Further, it's high in market capitalization, $24 billion, helped catapult it above ETH as the world's second largest cryptocurrency. Several bullish developments took place on the daily chart over the course of September. On September 18th, price broke bullish out of a large falling wedge pattern, hinting a bullish reversal was soon to be likely. On the cryptocurrency exchange, Poloniex, the price went on to surge 145 percent from its close of $0.31 on September 18 to a high of $0.77 on Sept 21. The surge quickly pushed the relative strength index (RSI) value into overbought territory, indicating the bulls were reaching temporary exhaustion. That said, the RSI has since cooled off and its price formed a bullish pennant very similar to that of its structure in mid-December of 2017. Lastly, the Guppy Multiple Moving Average indicator (GMMA) has flipped green on the daily time frame for the first time in nearly 11 months. That indicator uses groups of moving averages to identify changes in a trend and the indicator flipping green is bullish and considered a buy signal. The falling wedge breakout, acceptance above the 200-day EMA, pennant formation and green Guppy, all favor a rally in XRP back toward its recent high of $0.77 on Poloniex. The cryptocurrency might see a "sell the news" pullback after the Swell conference. However, the technical bias would remain bullish as long as XRP is trading above its daily higher low of $0.43. Soon before press time, XRP was trading at $0.58, according to CoinMarketCap. I am ready to explore the world of Crypto with Cardbit. © 2018 Cardbit.io. All rights reserved.